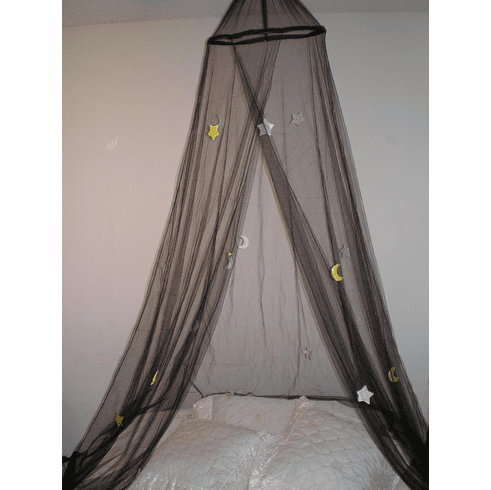 Brand New Bed Canopy 40(top)x250(H)x700(circumference)cm BLACK color with yellow moon and star on the black body. It can fits crib to twin size bed and hangs from the ceiling. Hoop and hook hardware included.